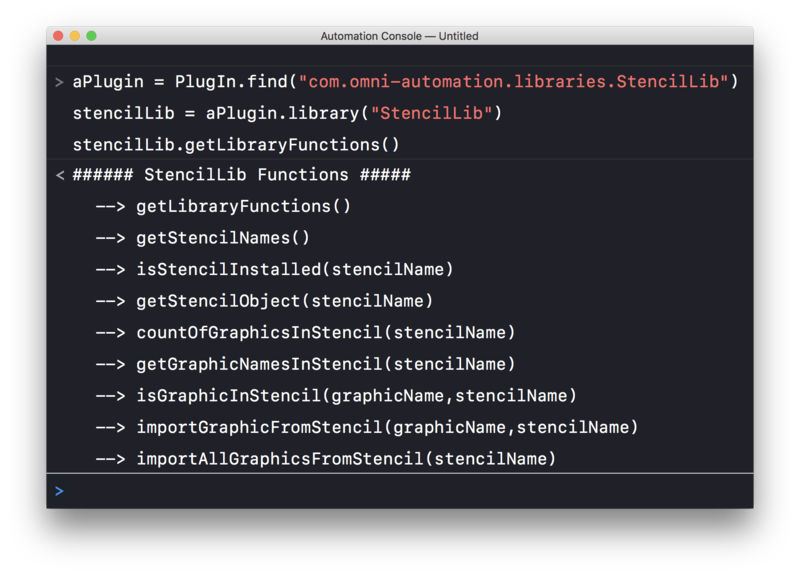 For those wishing to automate their Omni applications, libraries are your best friend. Omni Automation Libraries provide the means for storing, using, and sharing your favorite Omni Automation functions. They can make your automation tasks easier by dramatically shortening your scripts, and they enable the ability to share useful routines with other computers and tablets. This section describes the structure of an Omni Automation Library, how it is registered in its host plugin, and how it is referenced by plugin actions and external scripts. Libraries can contain as many functions as you find useful to include. The example shown above contains two library functions that can be called from within your plugins or scripts. In order to be available to the user, libraries must be registered by including them in the plugin’s manifest.json file. This file contains metadata about the plugin, as well an array of plugin actions (line 7), and an optional array of one or more libraries (line 17). Each action element is comprised of a key:value pair for the action’s identifier (filename) (lines 9, 13) and the filename of its corresponding toolbar icon image file (lines 10, 14). Each library element is comprised of a key:value pair (lines 19, 22) for the library’s identifier, which is the library’s filename without the file extension. The example code shown below is of a plugin action. It is comprised of two sections: the validation code (line 14), and the execution code (line 4). The validation section (line 14) is used to determine if the action should execute, based upon whether or not there is a selection in the frontmost document. If your action does not rely upon a selection, simply return true (15) as shown in the example. Loading a library is accomplished by simply appending the library identifier (filename) to the global object: this. In the example shown above two libraries are loaded into variables (line 4, 5). Once the libraries have been loaded, any library functions can be called by appending the name of the function to the variable representing the host library (lines 7, 8). Calling into libraries within an external script is a slightly more involved process in that you must first identify the plugin that contains the library whose functions you wish to access. In the example below, the plugin is located using the find method on the Plugin class, and the plugin’s identifier. If the plugin is installed, then an object reference to the plugin is returned and stored in a variable (line 2). If the plugin is not installed, a value of null will be returned and the next line in the script (line 3) will throw an error indicating its status as missing. Once the plugin has been successfully identified, any libraries can be loaded using the library method on the plugin reference stored previously in a variable (lines 5, 7). Once the library or libraries have been loaded, their functions can be accessed by appending the function name to the variable containing the loaded library (lines 9, 11). getLibraryFunctions() -- returns a text block of paragraphs listing the functions (and their parameters) contained in the library. isStencilInstalled(stencilName) -- returns true or false indicating the status of the stencil whose name is provided as the parameter. getStencilObject(stencilName) -- returns an object reference to the stencil whose name is provided as the parameter. 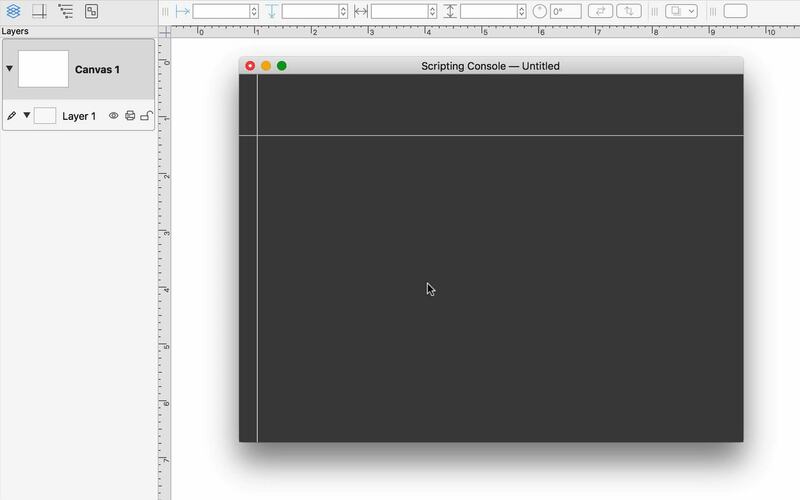 countOfGraphicsInStencil(stencilName) -- returns an integer indicating the number of graphics in the stencil whose name is provided as the parameter. isGraphicInStencil(graphicName,stencilName) -- returns a true or false value indicating whether or not the specified graphic is in the specified stencil. importNamedGraphicFromNamedStencil(graphicName,stencilName) -- imports onto the top canvas, the named graphic contained in the named stencil. The graphic will be placed at (0, 0) on the canvas. importAllGraphicsFromNamedStencil(stencilName) -- imports onto the top canvas, all graphics contained in the named stencil. The graphics will be placed at their default positions on the canvas. As with PlugIn actions, libraries can be created in a simple single-file PlugIn format that are installed in the application’s PlugIns folder. As with bundled PlugIn libraries, they are called from an action using their filename (without extension). 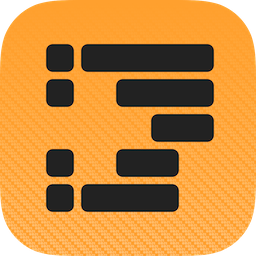 01 // COPY & PASTE into a text editor app. 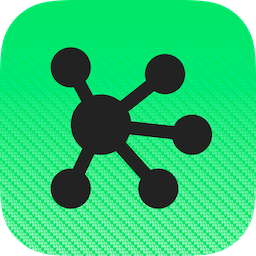 EDIT & SAVE with “.omnijs” file extension.